Hama colourful beads have been a craft favourite for generations, with both children and adults enjoying making creative bead designs. One of the most popular sets is the exciting Doc McStuffins Large Gift Box which little ones adore playing with. It provides children with hours of fun as they see their favourite characters come to life in beads! 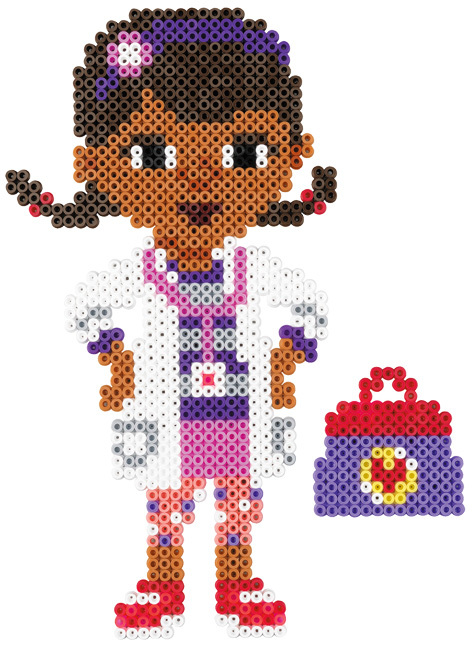 Everything you need to create a bead Doc McStuffins is included in the vibrant gift box. There are 4000 Midi size beads, 2 pegboards, a full colour printed project sheet, instructions and ironing paper to finish the design off. Crafting with Hama is an easy and fun activity – all you need is imagination. Models are created by placing coloured beads on a pegboard, these are then ironed together with special ironing paper, and the result is a permanent bead model! Pegboards can be used again and again for non-stop fun! Hama Beads are available in 3 different sizes starting with Maxi which are for age 3 and above. Midi is the most popular size, which is for 5 and above. Mini beads are the challenging smaller versions which are ideal for age 10 and above. Beads, ironing paper and pegboards can be bought separately or in themed and licensed sets. 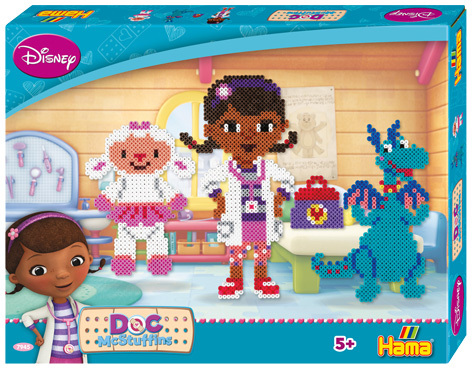 Please tell us what you think of the Hama Doc McStuffins Set by DKL.